Home > News > We now offer Best Bottom Re-Usable Training Pants! 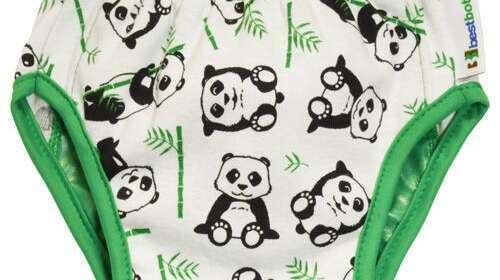 Because we are committed to offering earth-friendly diapering products from birth through potty training, we’ve added an exciting new product for Potty Trainers! 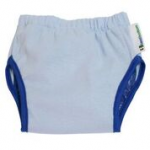 We now offer Best Bottom Re-usable Training Pants to our diaper service customers! These re-usable Best Bottom Training Pants have both the look and feel of real underwear and are easy for little ones to pull up and down. 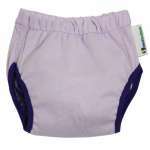 And, to help catch those early potty training accidents, they include interior snaps for our small all-in-two inserts! Combining these fantastic trainers with our microfiber all-in-two inserts is a match made in heaven. Our microfiber inserts do a great job catching those unpredictable leaks on the way to the potty but also leave enough moisture so kiddos know that they are wet and that it is time for a change! For a limited time, we will offer our Best Bottom Training Pants for the reduced price of $12.50 per pant! And, if you are ready to start potty training and are interested in learning about our special potty training diaper service rate, simply contact us, and we will get you started! And, here are the fabulous colors/styles of our Best Bottom Training Pants!